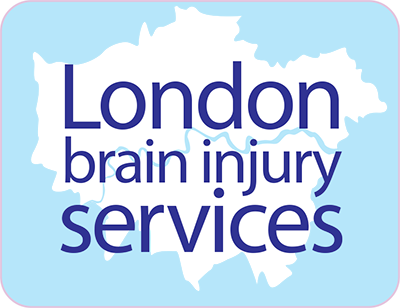 ABIL aims to provide up-to-date information on brain injury services in Greater London. The service classification is derived from work in the Eastern Region by Professor John Pickard and others (see here) and based on work subsequently carried out by Dr Richard Greenwood for services in London. Please see DISCLAIMER (at bottom of this page). Please let us know if you think any information is out-of-date. Patient description: Medically stable, requiring 24-48hrs observation prior to community rehabilitation, (as necessary in a small minority) with low probability of acute neurological deterioration requiring neurosurgical advice/transfer. Description of rehabilitation input:Assessment and observation – education, emotional and social support. Planned discharge home, sometimes with outpatient follow up or moves to Rapid Access Acute Rehabilitation (RAAR) at 48 hours. Patient description: Medically unstable – requires neurosurgical critical care. Description of rehabilitation input: Identifying and addressing early rehab goals before medically stable and transfer of care to rehab team. Patient description: Medically unstable – requires general but not neurosurgical critical care. Patient description: Potentially medically unstable, but does not require critical care – unable to actively participate due to PTA, confusion, rejection, agitation, or low awareness state. Description of rehabilitation input: Needs inpatient care and treatment, and environmental and behavioural management, for physical dependency and confusion, and continuous clinical assessment (nursing, medical, therapy) to detect deterioration and prevent avoidable complications, and to facilitate optimal timing of rehab input and referral to next rehab programme. Patient description: Medically stable, able to actively participate with and benefit from therapy. Description of rehabilitation input: Needs in-patient care due to physical dependency, or the need for specialist therapy equipment, a safe environment, supervision, or intensity of therapy, in a unit with the expertise and experience in rehabilitation of condition which cannot be provided in a local specialist centre or in the community. Description of rehabilitation input: Needs in-patient care due to physical dependency, or the need for specialist therapy equipment, a safe environment, supervision, or intensity of therapy, in a unit with the expertise and experience in rehabilitation of condition which cannot be provided in the community. Patient description: Medically stable, but prolonged confusion, amnesia or behavioural difficulties, requiring specialist behavioural management, intensive supervision and secure environment. Description of rehabilitation input: Specialist behavioural management, including high staffing: patient ratio to ensure intensive supervision and secure environment. Access to neuropsychology and neuropsychiatry. Patient description: Medically stable, but low awareness or response persists beyond eg 3 weeks after sedation withdrawn, ICP corrected and medically stable. Able to benefit from medical and physical therapy to prevent complications and support recovery. Description of rehabilitation input: Assessment/active rehabilitation phase which needs to be distinguished from long term care, although planning care increasingly important aim after some (eg 6) months. Patients may go to active participation unit if they improve sufficiently. Patient description: Medically stable – able to actively participate with, and benefit from, therapy. Will include spectrum of initial severity of injury with a small minority derived from Minor HI category. Description of rehabilitation input: Interdisciplinary co-ordinated management therapy aimed at community re-integration/inclusion by enhancing independence, wellbeing, & assist return to work/education. In collaboration with Social Services, neuropsychiatry, voluntary and statutory services. Includes treatment of patients in residential care or with live-in carers. Patient description: Medically stable, independently mobile, primarily cognitive impairments likely to benefit from intensive neuropsychological therapy. Description of rehabilitation input: Interdisciplinary, holistic and intensive assessment and therapy programme – addressing individual cognitive, social, emotional and physical needs, with the aim of a return to work, studies or independent community life. Patient description: Medically stable, living in community, aiming to enter/return to employment. Description of rehabilitation input: Interdisciplinary programme addressing all aspects of occupational activity, including, specialist assessment, work preparation, job search, job coaching and workplace support, and employer/college education and support. Patient description: Medically stable after any severity of head injury, but experiencing problems in the community with any combination of cognitive, emotional, behavioural or physical problems. Description of rehabilitation input: Multidisciplinary diagnostic and triage clinic, including expert medical input, with specialist brain injury nurse and/or neuropsychological assessment and support and follow-along available. Education, emotional and social support, both for patient and family. Liaison with/advice to GP and employer. Patient description: Medically stable, requiring supportive environment / accommodation, able to actively participate with and benefit from therapy. Will include spectrum of initial severity of injury with a small minority derived from Minor head injury inpatient category. Description of rehabilitation input: Retraining and enablement in day-to-day domestic and community-based tasks in a non-hospital, home-like environment, aimed at community re-integration/inclusion by enhancing independence, wellbeing, & assist return to work/education. In collaboration with Social Services, neuropsychiatry, voluntary and statutory services. Help for family/carers in supporting the person in these roles, and with identifying statutory support available. Patient description: Medically stable. Unable currently to live in the community. Description of rehabilitation input: Provide comfortable and stimulating environment, with encouragement to pursue recreational activities and personal interests. Would include daily activity programme and outside visits. Rehabilitation facilities could possibly include cognitive and behavioural support. Experienced nursing and care staff available 24 hours a day. Support with diet & feeding where necessary. Family members involved and consulted. Description of rehabilitation input: Life long prevention of avoidable complications involving residual physical, cognitive, emotional and behavioural problems, on a domiciliary, outpatient or respite basis. Patient description: Carer support from initial injury, patient support when able to communicate. Description of rehabilitation input: Information and guidance over a continuum. Family support and outreach. Advocacy. Patient description: Medically stable. Wanting to engage further with the community, alone or with others. Description of rehabilitation input: Organised activity in the community offering opportunities to develop social skills, stamina, confidence, attention & leisure pursuits, Specific attention paid to: community involvement & integration (further education etc); personal social development and empowerment; and structuring activity towards achieving goals. Includes day activities, Day Centres, and clubs. Includes support and activity that may be purchased with a personal budget. Description of rehabilitation input: Assessment, guidance, management of care and support and rehabilitation needs; involving close liaison/working with the family. The information on this web site is provided free of charge and on the basis that neither ABIL nor any of its committee members will have any liability for the information given. The information is provided to us voluntarily by people involved in services related to acquired brain injury within London . Any opinions, advice, statements, services, offers, or other information provided by them on the web site are expressed or made by them and not ABIL. Please note that ABIL does not endorse or recommend any of the organisations or services mentioned on the web site and we do not investigate any of the details provided to us. The information on the web site is not intended to address your particular requirements. It does not constitute any form of advice by us and you should not rely solely on this information when deciding about treatment and other services available. ABIL does its best to ensure that all information on the web site is accurate and up to date. Please let us know if you think any information is inaccurate. Although we hope this Site will be of interest to users, we accept no liability and offer no warranties in relation to it and its content to the fullest extent that such liability can be excluded by law. Except where you give us express permission, we do not retain any personal data that you may provide to us in the course of using the web site except for the purposes of processing your enquiry or request. For example, if you contact us by email, we would only keep your email address while communicating with you about your query. We do not sell your details to any third party.